2 1/4 inches tall by 5 1/4 tall. 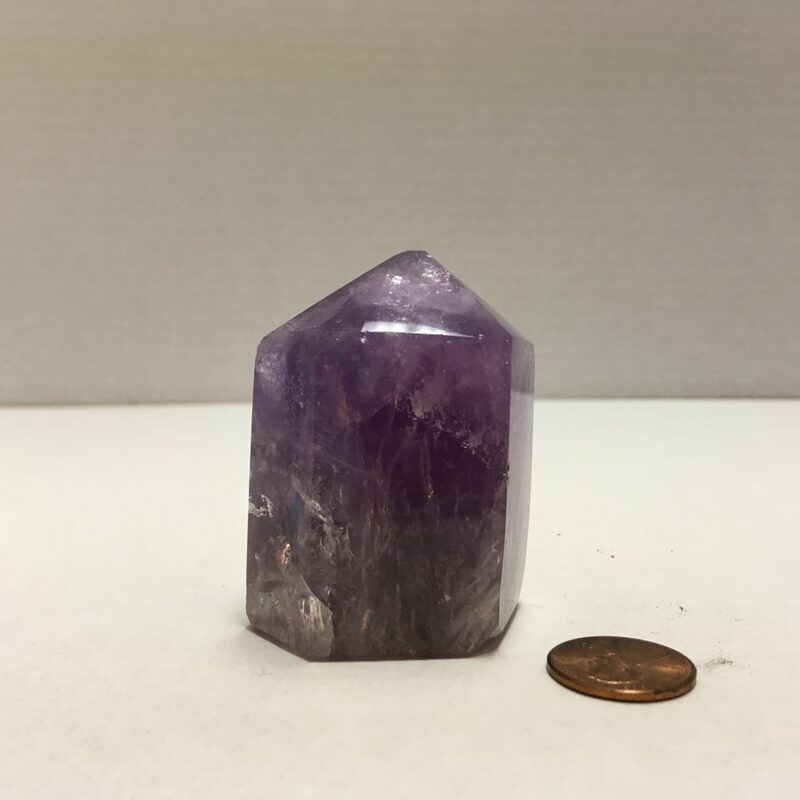 Amethyst is A variety of quartz. Strengthens endocrine and immune systems. Enhances right brain activity and pineal and pituitary glands. Powerful blood cleanser and energizer. Helps mental disorders. Purification and regeneration on all levels of consciousness. Transmutes ones lower nature into the more highly refined aspects of their higher potentials. Physical representative of the Violet Ray of alchemy and transformation. Cuts through illusion. Enhances psychic abilities. Excellent for meditation. Aids channeling abilities. Calming, strong protective qualities. Healing, divine love, inspiration, intuition. CHAKRA(S): Third eye, crown.